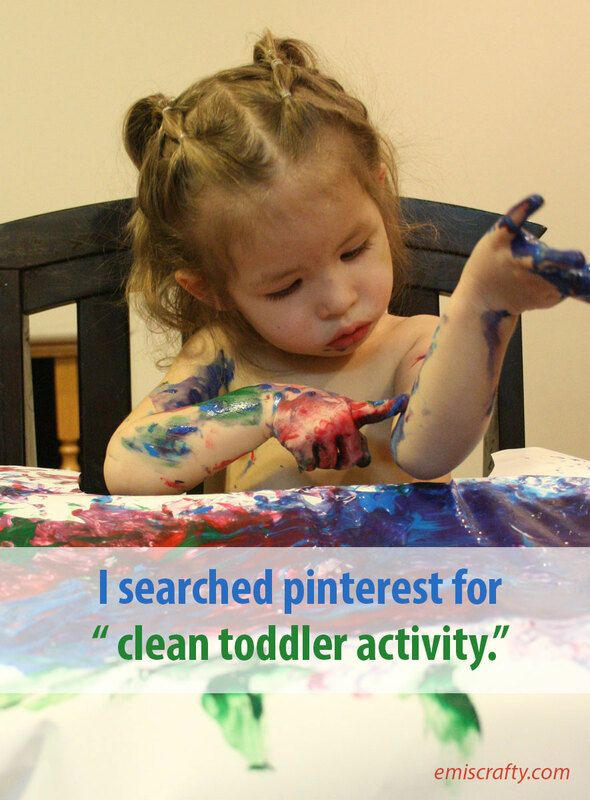 I Scoured the internet to Find a Clean Toddler Activity. Pinterest laughed. In some weird happening of the universe, baby and I had 4 hours yesterday with NOTHING pressing to do! Instead of following my urge to lay on the floor and do nothing, I scoured pinterest to find some toddler activity – maybe one that wouldn’t destroy my semi-clean house (thanks hubs). The pinterest Gods laughed. Heartily. We taped rolls of paper to the high chair. 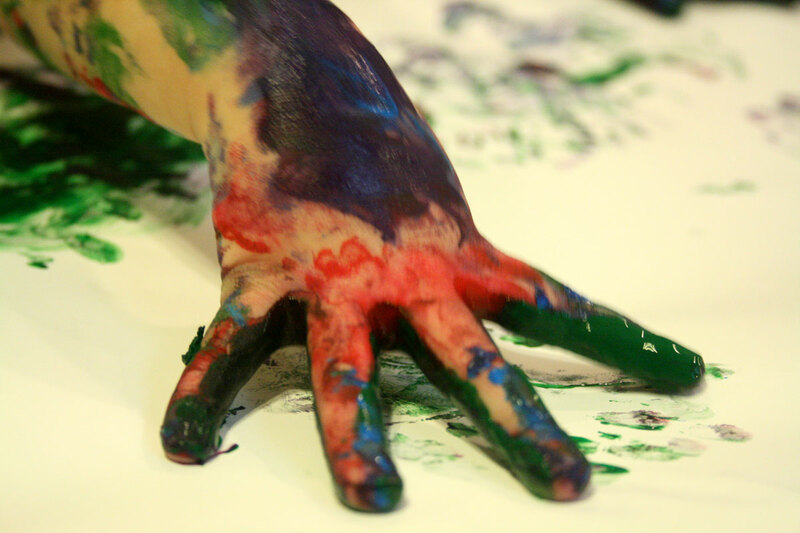 TIP: Use several layers, and cover more area than you think. Look how cute her papi did her hair! 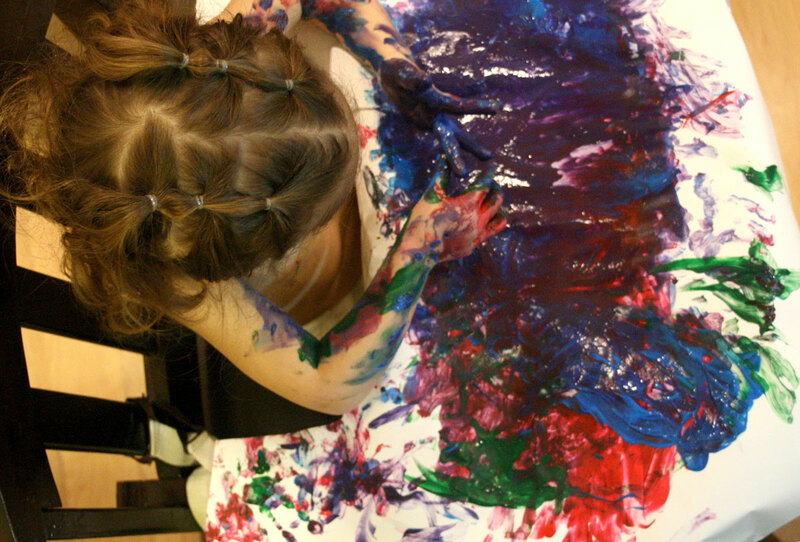 She LOVED it for at least 30 minutes, which is, like, forever in toddler-land. Then clean-up was at least 30 minutes.